· Provides the shortcut icons to start the PC Studio applications. · Allows you to select the connection type for PC to Phone connection. · Allows you to retrieve personal information saved in the Phone, such as Phonebook and Organizer and to add new data or delete and edit the saved data. · Allows you to retrieve message data saved in the Phone, such as SMS and MMS data, and to send SMS and MMS data via the connected Phone. · Allows you to synchronize personal information data saved in the Phone and the data saved in the PC's personal information management program. The PC personal information management programs supported by PC Sync are Microsoft Outlook and Outlook Express. · Allows you to browse multimedia files saved in the Phone in the Windows Browser and to download files or to upload PC files to the Phone. · Allows you to access the Internet using the connected Phone as a modem device. · Allows you to make and edit multimedia messages using such content as photos, moving pictures, sounds and text. The multimedia messages produced using MMS Composer can be saved to or sent via the connected Phone. · Phone Editor is a PC Studio application for easy management of such data as Phonebook, organizer and the WAP Settings of a Samsung Electronics Phone. · The Message Manager application is provided for easy management of Samsung Electronics Phone message data, such as SMS and MMS. · The PC Sync application allows you to synchronize personal information data between a Samsung Electronics Phone and the personal information management software of a PC. · Phone Explorer allows you to transmit various multimedia files from a Samsung Electronics Phone to a PC or to transmit multimedia files from PC to Phone. · Samsung PC Studio's Networking Wizard provides a Dial-up Connection function via a wizard program for Internet access. The connected Phone is used as a modem device for this purpose. · Multimedia Manager is a multimedia file management tool provided by Samsung PC Studio, a software program connecting a Samsung mobile phone to a PC. · Multimedia Manager has a separate player to help you enjoy images, music, and movie files. · MMS Composer allows you to create or edit multimedia messages directly on the PC or to send a created multimedia message via the connected Phone. You cannot download any crack or serial number for Samsung PC Studio on this page. Every software that you are able to download on our site is legal. There is no crack, serial number, hack or activation key for Samsung PC Studio present here. Our collection also doesn't contain any keygens, because keygen programs are being used in illegal ways which we do not support. All software that you can find here is freely downloadable and legal. 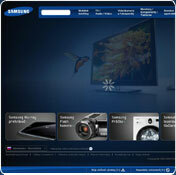 Samsung PC Studio installation package is prepared to be downloaded from our fast download servers. It is checked for possible viruses and is proven to be 100% clean and safe. Various leading antiviruses have been used to test Samsung PC Studio, if it contains any viruses. No infections have been found and downloading Samsung PC Studio is completelly problem free because of that reason. Our experts on malware detection tested Samsung PC Studio with various spyware and malware detection programs, including fyxm.net custom malware and spyware detection, and absolutelly no malware or spyware was found in Samsung PC Studio. All software that you can find on our servers, including Samsung PC Studio, is either freeware, shareware or open-source, some of the software packages are demo, trial or patch versions and if possible (public domain licence), we also host official full versions of software. Because we want to be one of the fastest download sites on the web, we host all the software including Samsung PC Studio on our servers. You cannot find here any torrents or download links that would lead you to dangerous sites. Rate Samsung PC Studio 7.2.24.9!